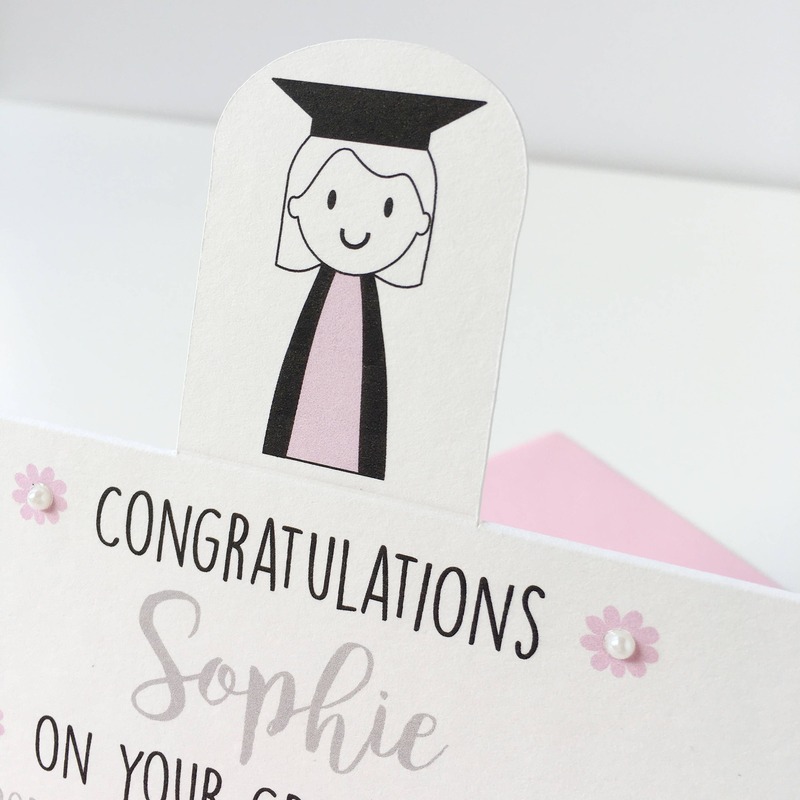 This is a lovely personalised Girl's congratulation on your graduation card. 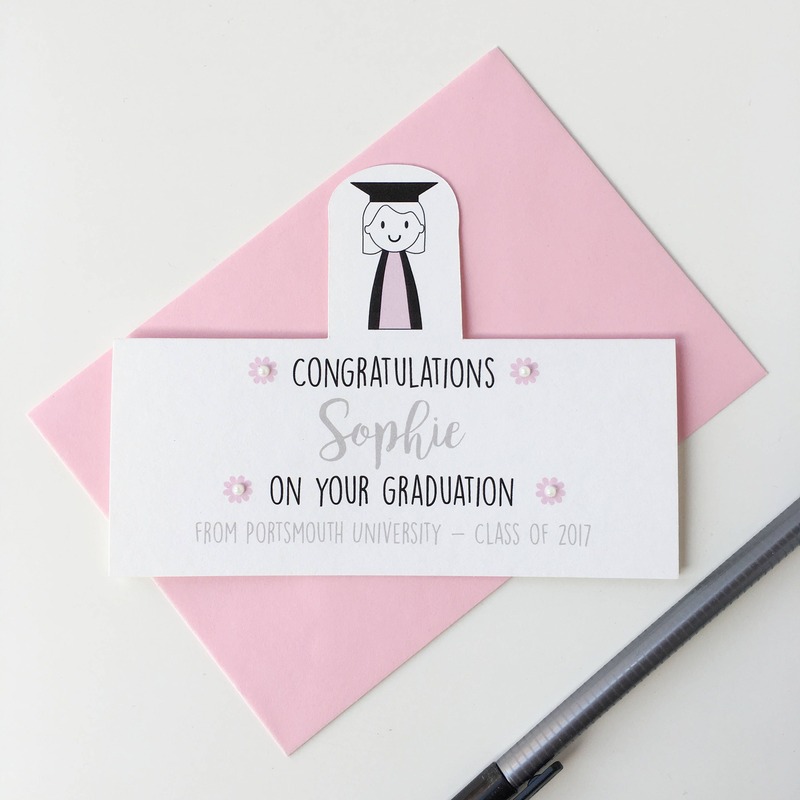 Each card is beautifully printed to order with a girl standing along the top of the card, dressed in her graduation cap and gown. 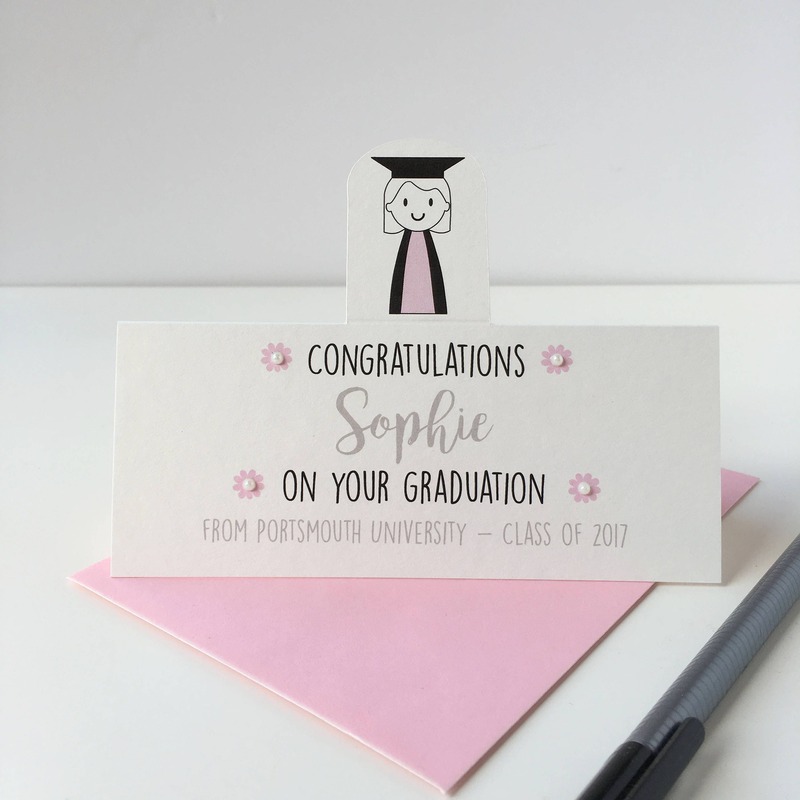 To personalise the card you enter the name of the person it is for the university attended and the year of the "Class of..."
If you have any questions please use the contact seller and I will be happy to help.